Thomas Jefferson said, “Dissent is the highest form of patriotism.” And because I love my country, I frequently criticize America’s shortcomings in the hopes of making her better. But the truth is that the United States is not unusual … it is just like all other empires which have hit their peak and then quickly crashed. Political insider and veteran reporter Kevin Phillips has documented that every major empire over the past several hundred years has undergone a predictable cycle of collapse, usually within 10 to 20 years of its peak power. In 2000, America was described as the sole remaining superpower – or even the world’s “hyperpower”. Now we’re in real trouble (at the very least, you have to admit that we’re losing power and wealth in comparison with China). Paul Farrel provides a bigger-picture analysis, quoting Jared Diamond and Marc Faber. Of all the questions I have about the future, this is the easiest one to answer. Once a society becomes successful it becomes arrogant, righteous, overconfident, corrupt, and decadent … overspends … costly wars … wealth inequity and social tensions increase; and society enters a secular decline. In other words, America’s rapid fall is not really that novel after all. On the individual level, people became “fat and happy”, the abundance led to selfishness (“greed is good”), and then complacency, and then apathy. On the political level, there was no courage in the White House or Congress “to practice long-term thinking, and to make bold, courageous, anticipatory decisions”. 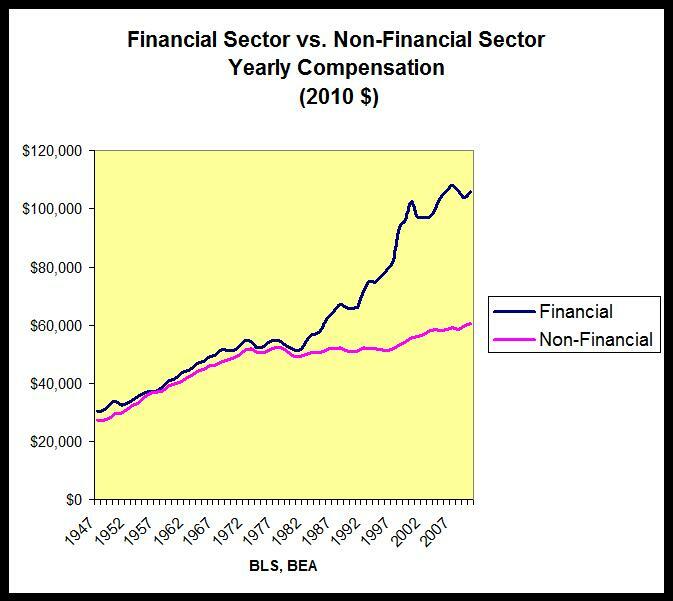 Of course, the bucket-loads of donations from Wall Street didn’t hurt, but there was also a religion of deregulation promoted by Greenspan, Rubin, Gensler and others which preached that the economy was self-stabilizing and self-sustaining. This type of false ideology only can spread during times of abundance and complacency, when an empire is at its peak and people can fool themselves into thinking “the empire has always been prosperous, we’ve solved all of the problems, and we will always prosper” (incidentally, this type of false thinking was also common in the 1920′s, when government and financial leaders said that the “modern banking system” – overseen by the Federal Reserve – had destroyed instability once and for all). Like the mugger who waits until his victim has made a withdrawal from the ATM, the white collar criminals pounced when America’s economy was booming (at least on paper). A study of the crash of the Roman – or almost any other – empire would show something very similar. Inequality was – indeed – one of the main reasons for the fall of the Roman Empire … and inequality in America is much worse than in Ancient Rome. In fact, inequality in America today is twice as bad as in ancient Rome , worse than it was in in Tsarist Russia, Gilded Age America, modern Egypt, Tunisia or Yemen, many banana republics in Latin America, and worse than experienced by slaves in 1774 colonial America. Corruption? Check … the government and big banks are all wallowing in a pig sty of criminal fraud. The economy has been hollowed out due to looting and fraud. And our institutions are so corrupt that people have lost faith in the economy. They are so corrupt and oppressive that people are more afraid of the government than of terrorists. The bigger the bubble, the bigger crash … and we’ve just come out of the biggest bubble in history. The war in Iraq – which will end up costing between $5 and $6 trillion dollars – was launched based upon false justifications. Indeed, the government apparently planned both the Afghanistan war (see this and this) and the Iraq war before 9/11. It is ironic that our military is what made us a superpower, but our huge military is bankrupting us … thus destroying our status as an empire.